“You have to pick a side.” Syfy has released new trailers for season two of The Expanse. Based on the book series by James S. A. Corey, the sci-fi drama takes place 200 years in the future when Earth has colonized Mars. 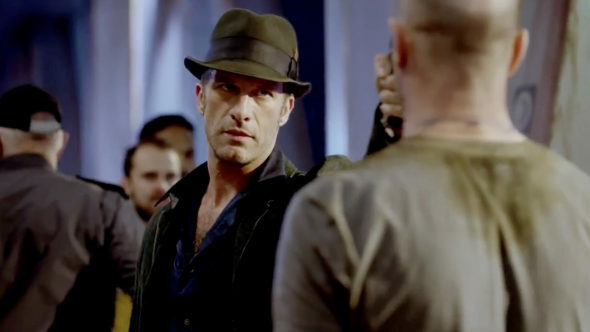 The cast includes Thomas Jane, Steven Strait, Shohreh Aghdashloo, Dominique Tipper, Cas Anvar, Wes Chatham, Florence Faivre, Paulo Constanzo, and Chad L. Coleman. Season two of The Expanse debuts on February 1st. What do you think? Are you a fan of The Expanse? Are you looking forward to season two? More about: Syfy TV shows: canceled or renewed?, The Expanse, The Expanse: canceled or renewed?